In France, the Regions have an overall competence with regards to ongoing vocational trainingand apprenticeship. They implement apprenticeships and vocational training for non qualified school leavers and adults in search of vocational prospects. In collaboration with the State, labour and corporate representatives, the region coordinates and structures the training offer in the framework of the “contrat de plan regional de développement de la formation professionnelle” (CPRDFP) which was signed in June 2011. Among the objectives Conseil régional de Normandie addresses, there are: raising training level, reducing unqualified school leavers’ number, putting training within the scope of town and country planning, developing stakeholders’ networking, favouring equality in access to training, developing the individuals’ autonomy in the setting up of their pathways. The region undertakes several programmes in the field of vocational guidance and qualification for all community members with a priority in favour of vulnerable and disadvantaged people. The “Conseil régional de Normandie” pays particular attention to quality in training and gives the impulse in different aspects : training scheme purchase focusing on quality and harmonious dispatching in the territory, eco citizenship approach in training , “quality employment and training charters” signed with corporate sectors. It has to be noticed that the region worked within the leonardo partnership Qualipaths together with the GIP FCIP on quality assurance in Training Pathways and EQAVET. 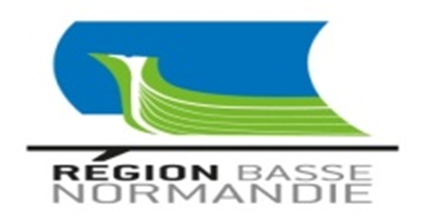 The region and its two departments: “employment, training and apprenticeships department” and the “CPRDFP and prospective department” is particularly keen on leading the cluster called “training and human resources” which is one of the activities of the ONEM (West Normandy Marine Energy) . The ONEM was created by three local goverments and led by Laurent Beauvais, president ofNormandy region, Jean François Legrand president of the Manche General council, and André Rouxel president of Cherbourg Urban Community and whose role is to promote and coordinate the development of Marine Renewable energy in our region and bring the territory to the forefront of energy diversification.